Apéro (v): to meet at WICE with fellow members, volunteers and friends. Join us on the last Tuesday of the month as we get together to meet, greet and have fun. Held at the WICE office, this is your opportunity to catch up with fellow WICE members, volunteers and friends over an apéro. It’s our way of saying thank you for your support, either as a member or volunteer. Not a member? Come along and find out about the great courses on offer at WICE. Interested in joining? 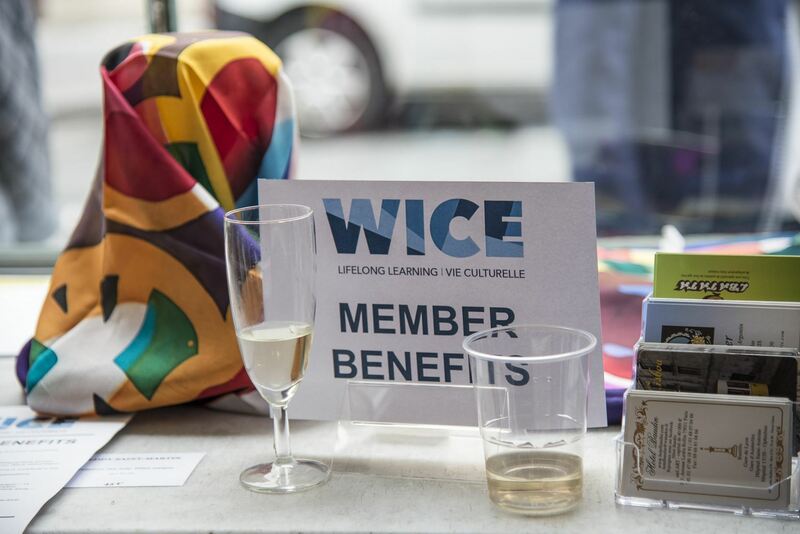 Become a member of WICE. Want to contribute to the work of WICE? Become a volunteer.